This entry was posted on Wednesday, December 10th, 2014 at 11:50 am and is filed under Uncategorized. You can follow any responses to this entry through the RSS 2.0 feed. You can leave a response, or trackback from your own site. Haha it works kinda like a certain character in a certain videogame.. but if I mention him it’ll be a spoiler. 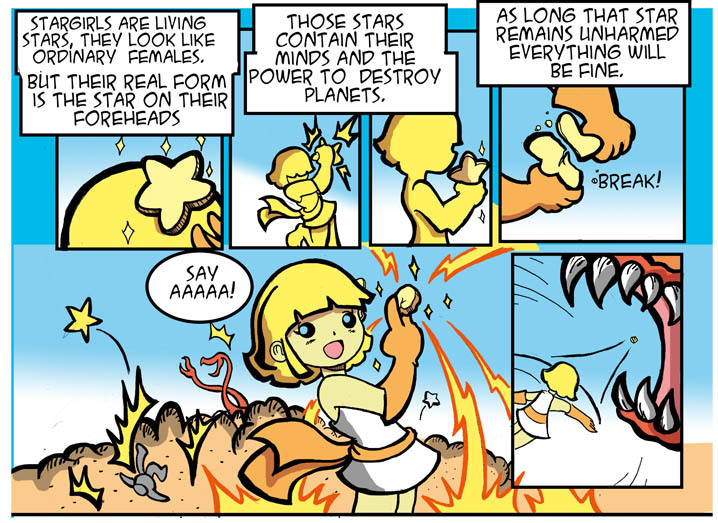 I always wondered from where did the stargirl mythos come. Knowing you it must be prehispanic, but I haven´t found it.